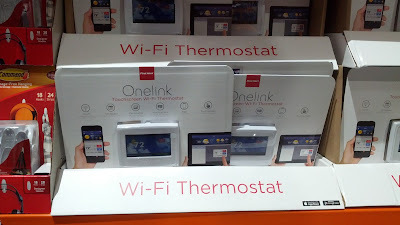 The First Alert Onelink Wifi Thermostat looks to be similar to the Nest product, recently bought by Google. You associate it with your home wifi network and because it is internet-accessible, its climate control system can be reachable from almost anywhere. From in or out of your home, you can monitor your internal home temperature but it can do a lot more like view weather forecasts, remind you to clean air filters, and give you historical readings of temperatures. 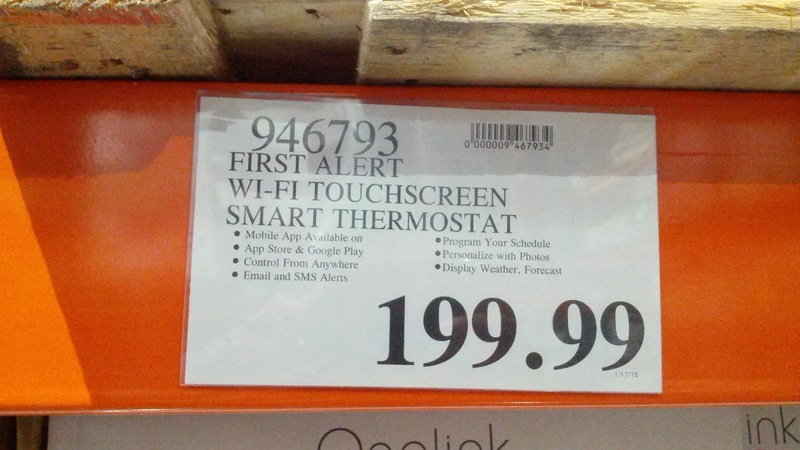 This can definitely help in cost savings. 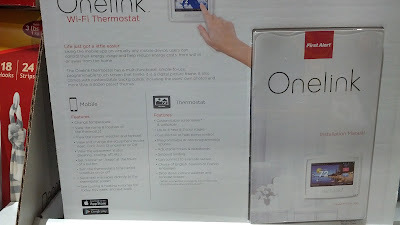 The First Alert Onelink Touchscreen Wifi Thermostat climate control system can be remotely accessible. First Alert Onelink Touchscreen Wifi Thermostat available at Costco. 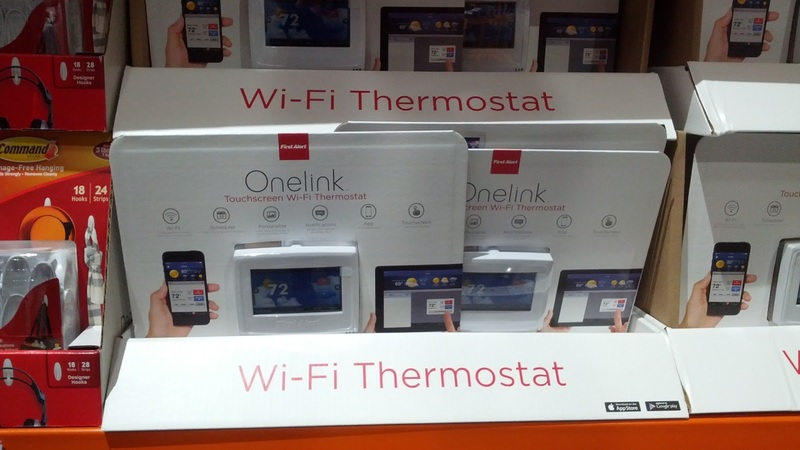 Control your home temperature with the Onelink Touchscreen Wifi Thermostat. The Onelink Wifi Thermostat has a multi-function, simple-to-use programmable touch screen that thinks it is a digital picture frame. It also comes with customizable backgrounds, including the users’ own photos and more than a dozen preset themes.